A very significant moment for me last week, when I committed my blog thoughts into an ebook, and a few moments later was a bona fide published author! Now, this is something that I would never have believed to be possible 5 months ago, when I sat down at my computer to tentatively tap out some thoughts about life on the ‘slippery stool’. In fact, going further back to my poor teachers at school, I am sure they would be somewhat flabbergasted by the notion that the scrawny, nerdy (before nerds were cool), organ-obsessed youth that they had to try and haul through the examination system had anything worthy of interest in his life, beyond piping up a few tunes. Of course, it is a sign of the changes in our lifetimes that in foregone years a hopeful writer would have sent away countless copies of his book, and waited for the inevitable rejections to come back. In the enlightened twenty-first century, you don’t have to undergo that process, and now we can tap away at our machines and deliver the fruits of our fingertips straight into the ether that is the internet, and within a few hours, people across the globe can be guffawing through your pages! I have been really encouraged, staggered and bewildered at the wonderful comments I have received on this blog – and the popularity of it overwhelmed me at first. It was after reading so many comments urging me to publish the blog as a book, that I decided maybe it was possible after all. A very steep, almost vertical learning curve has been scaled, if you can have such a thing, and… there it is – the fruits of my labour next to a biography of Cilla Black in the Amazon Charts! There has been so much positive feedback as well as discussions raised by this blog, that I shall continue to post more tales and thoughts here. But in the meantime, for those of you who would like to download it, it is currently available via the link below. A print version may be issued later, if there is enough demand. 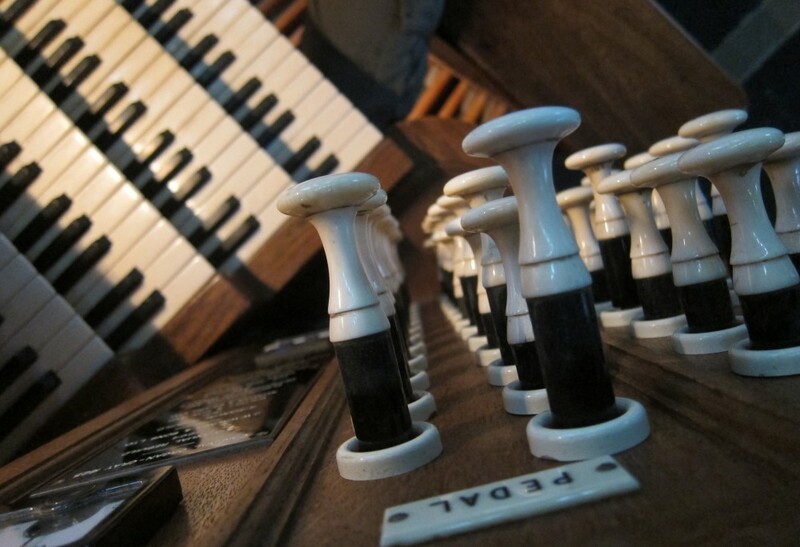 Buy it now, and help an Organist buy his wife a new wheelbarrow…!